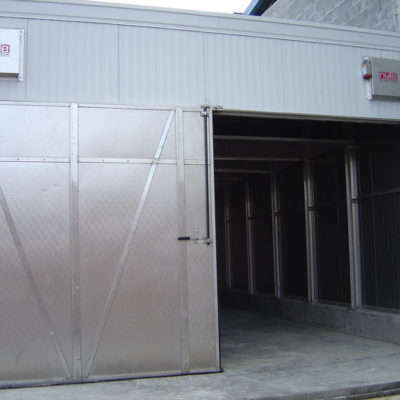 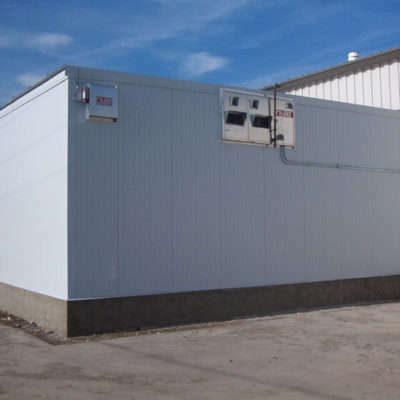 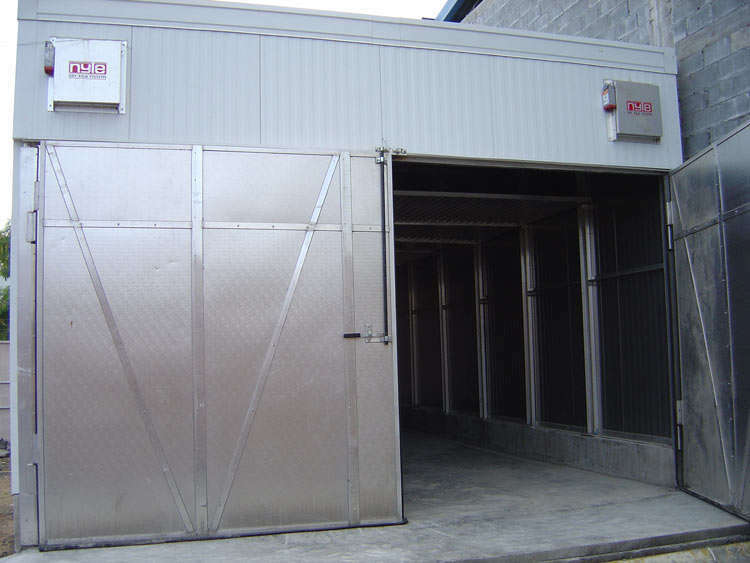 Chambers builds are designed for fast loading and unloading. 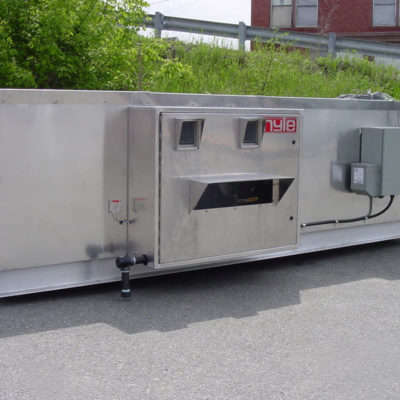 The extra width in the PHT660 improves airflow and shortens the processing time. 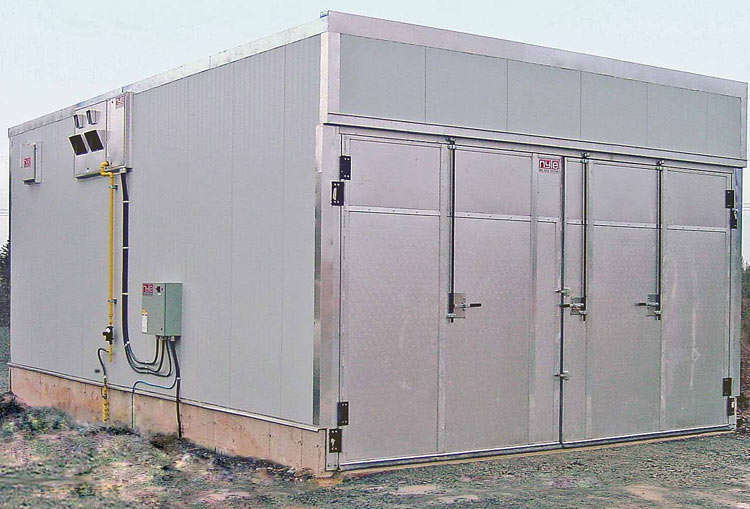 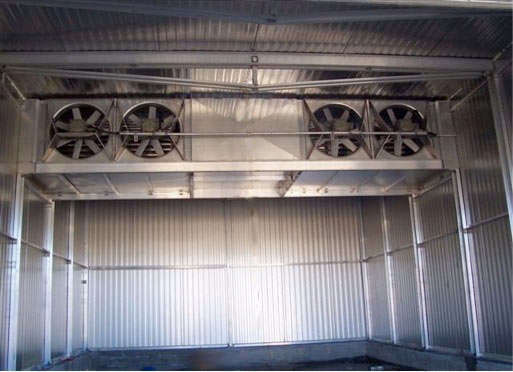 Our chambers are aluminum with stainless fasteners, no steel, no galvanized steel. 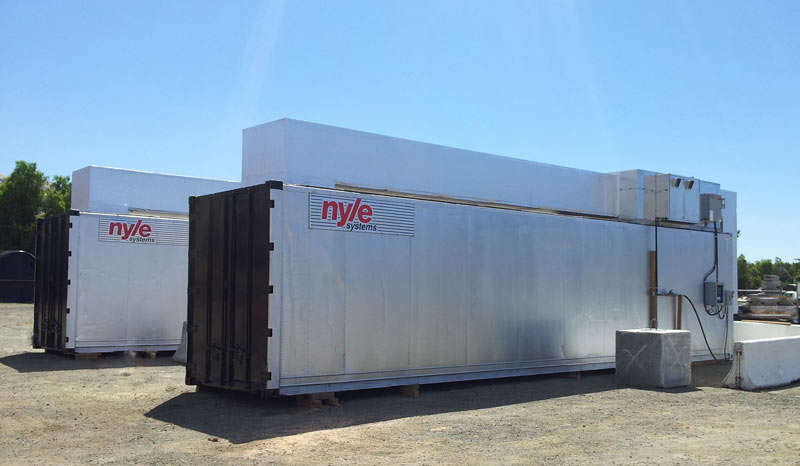 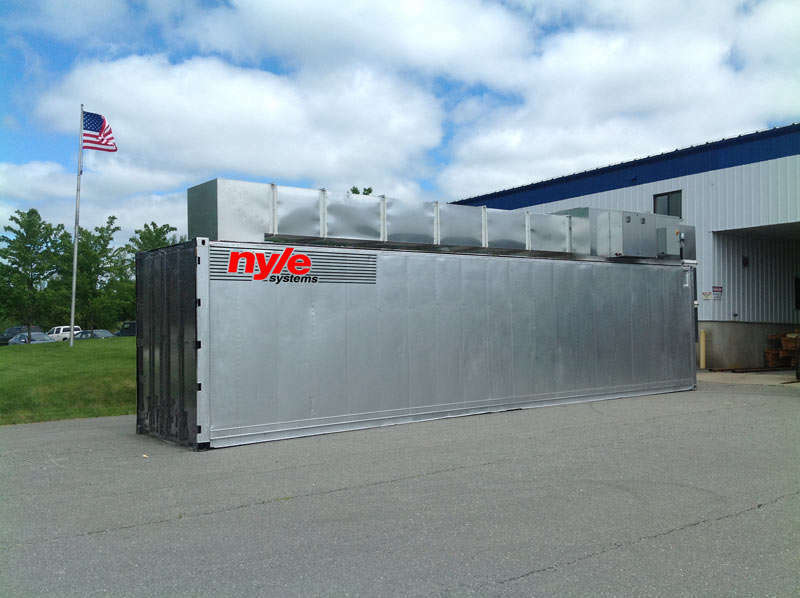 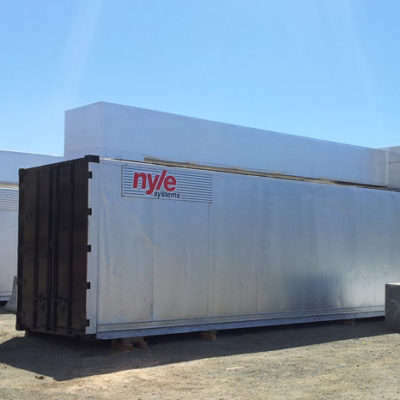 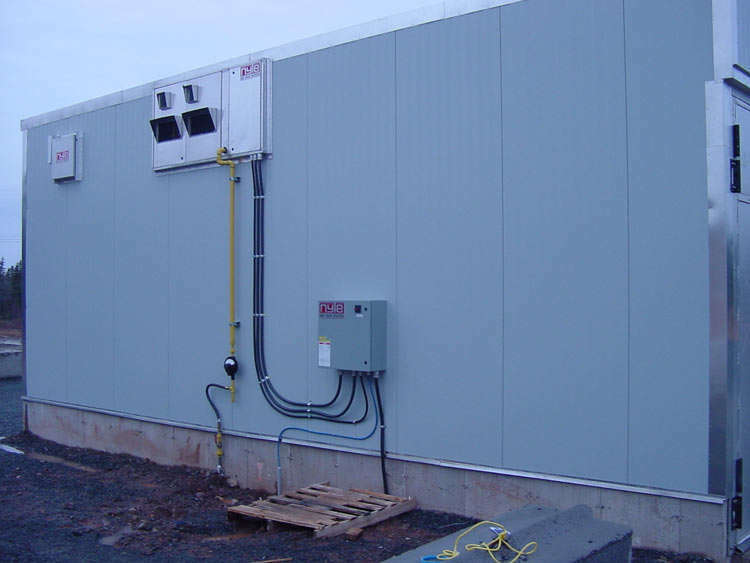 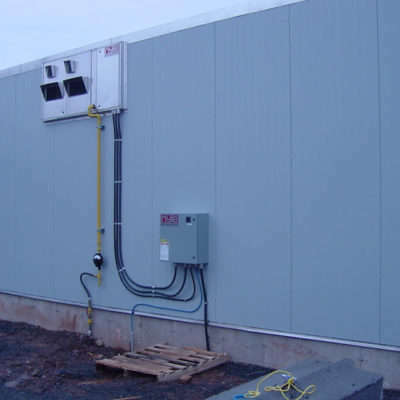 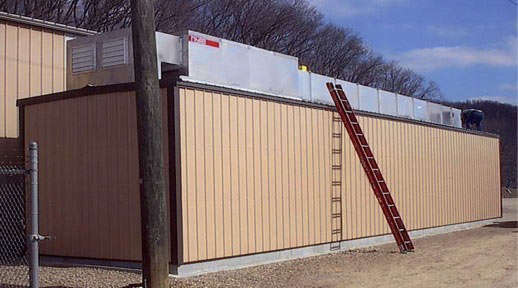 Nyle uses high insulation values and the better insulation will pay for itself quickly by to reduce operating costs. 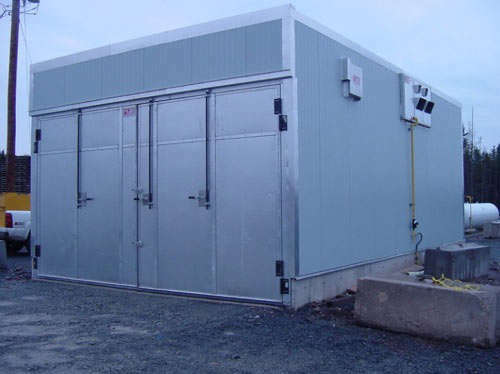 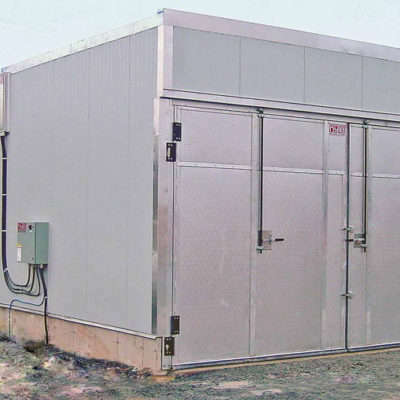 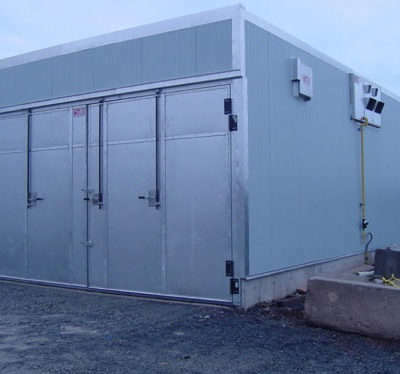 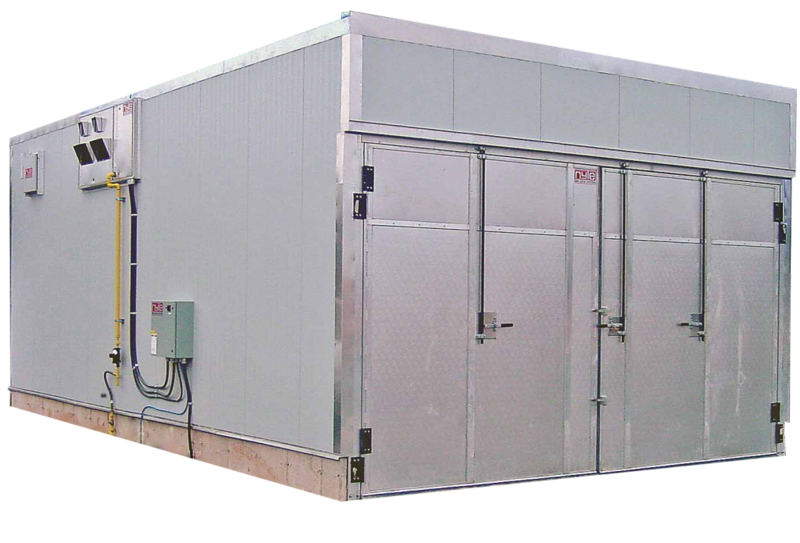 Door are rugged, reliable and well insulated and they are custom made to fit whatever size is needed if you’re building your own chamber. 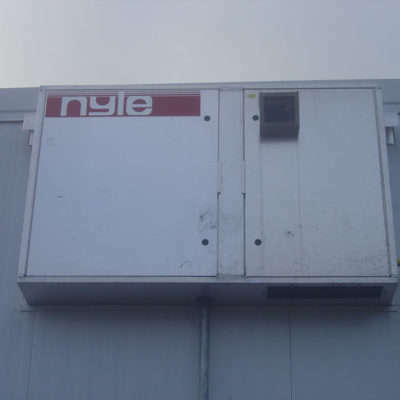 Computer control system that is easy to run and operate. 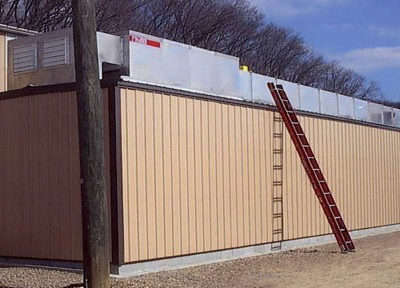 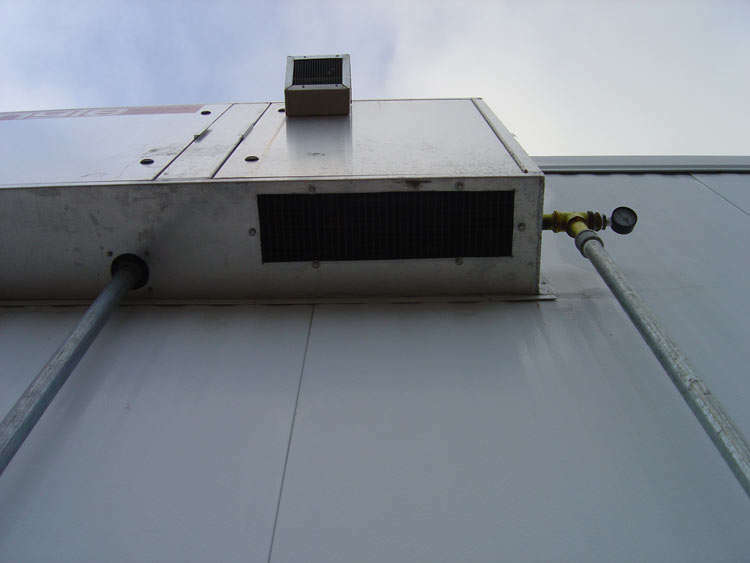 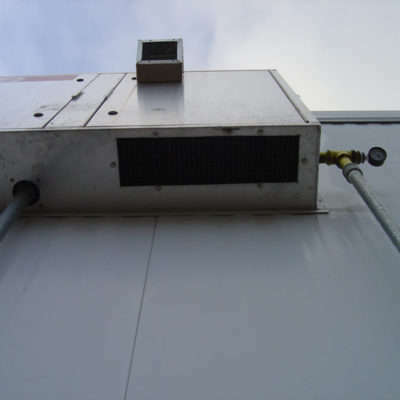 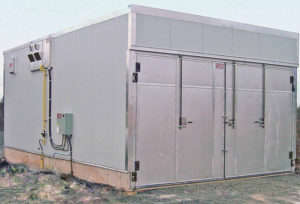 Systems are designed for easy expansion and adaptation to changing requirements. 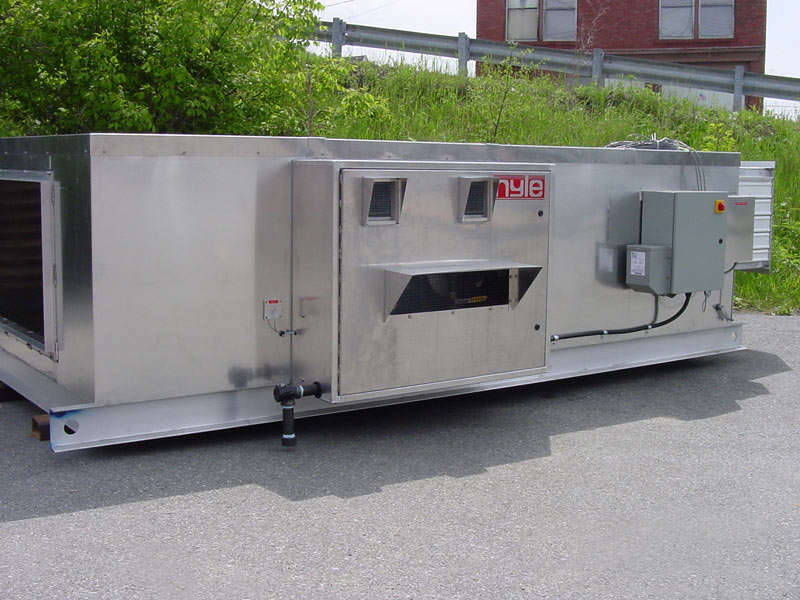 Fast support is at hand from our factory in Maine, from the same people that build the system. 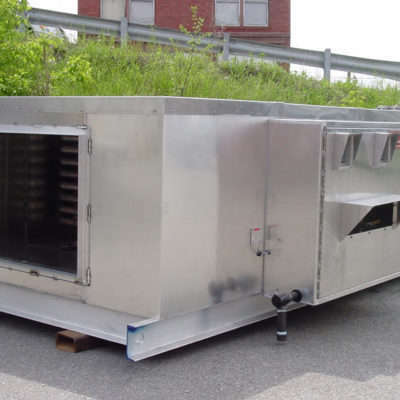 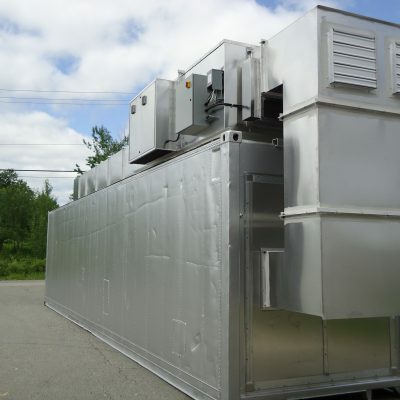 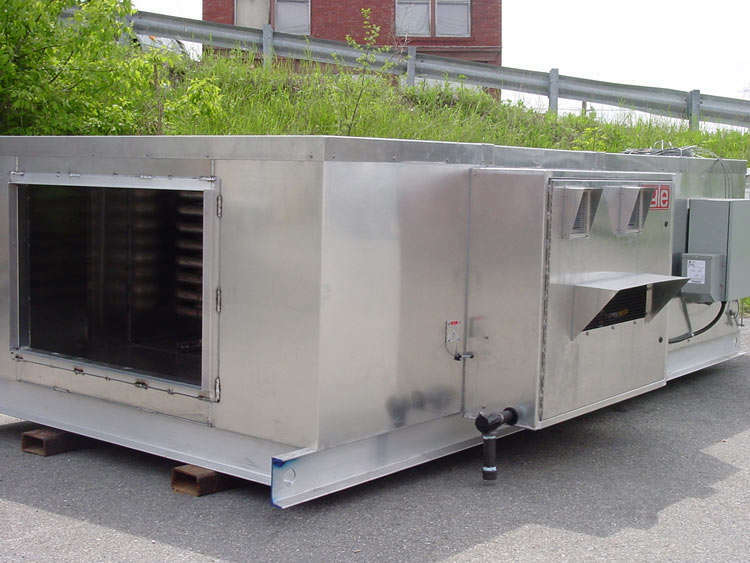 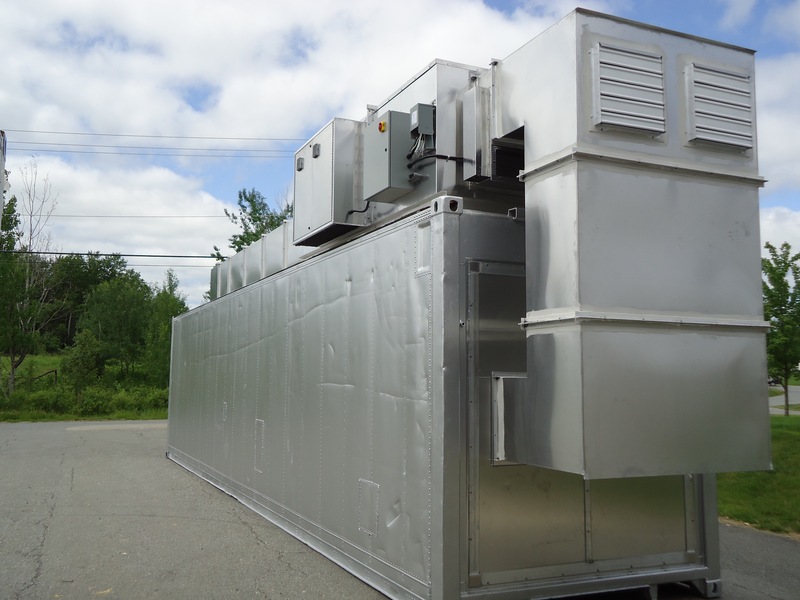 Some customers need a complete system and need it quickly while others build their own heat treating kiln and source just the components they need. 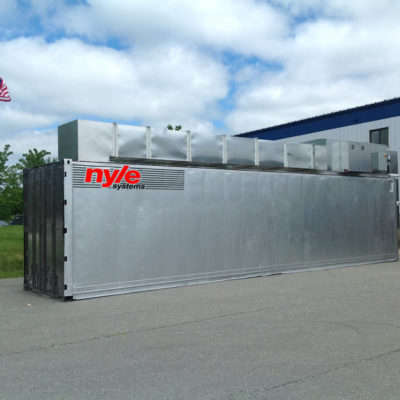 Nyle has been a recognized leader in the kiln business for 40 years. 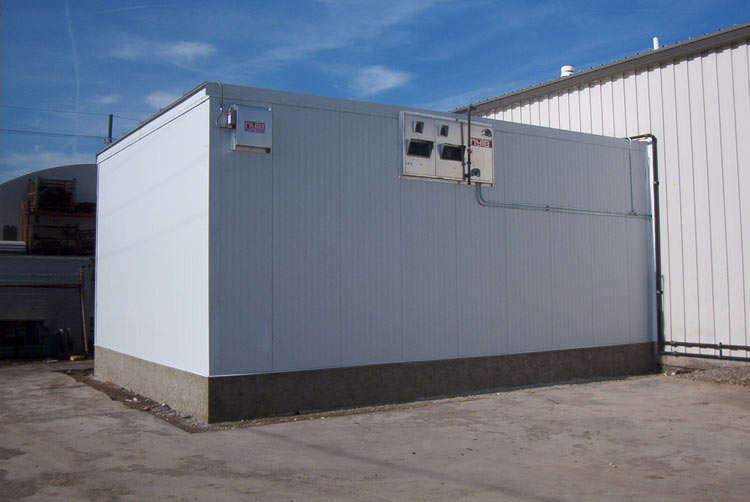 We know what lasts and what doesn’t. 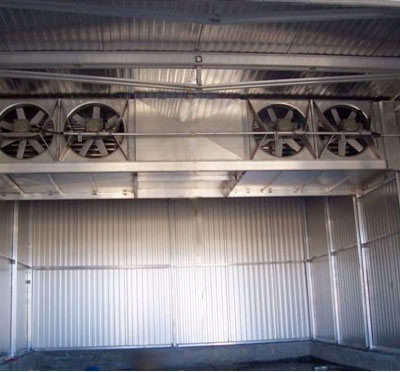 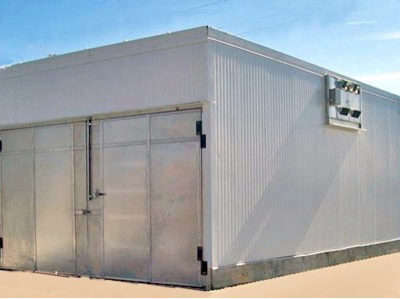 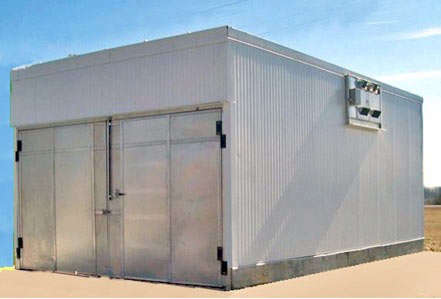 We provide high quality, long lasting systems that are efficient to operate. 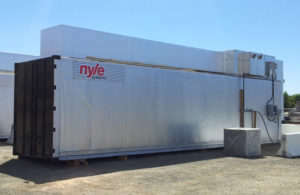 Nyle has built scores of heat treating kilns for pallet and crate wood. 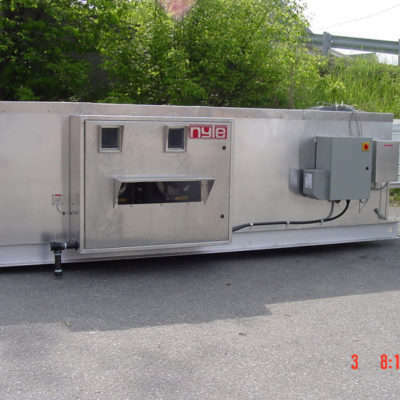 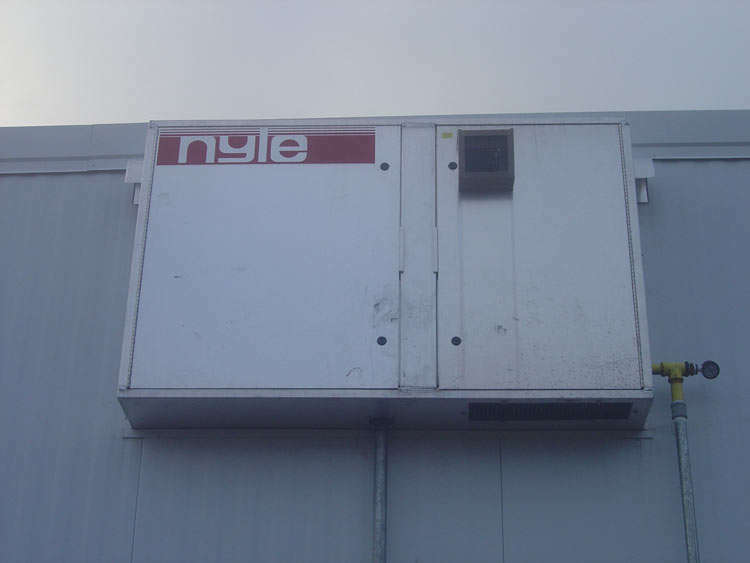 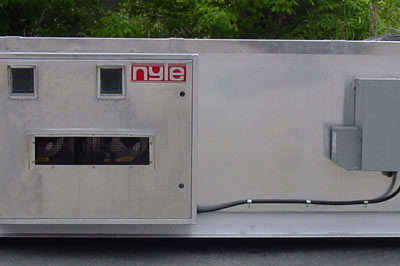 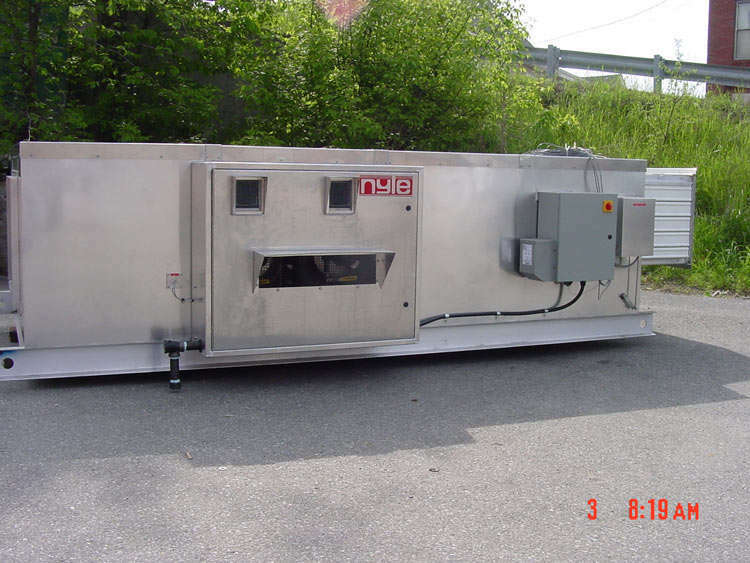 Nyle’s systems are sold as complete systems or as heat treat equipment for installation on customer supplied chambers.